Introduction: Who we are on the Yelm Prairie is part the result of what has happened along the Nisqually River and on the land bordering it over thousands of years The following selections will provide a picture of the natural forces at work shaping the environment that Native Americans and Euro-American settlers discovered. The Nisqually River, a glacier fed river with a drainage area of 754 square miles, is located in western Washington. It flows for more than eighty miles from the Nisqually Glacier on Mount Rainier to Puget Sound. One of the ten major rivers which empty into the Sound, the Nisqually is the southernmost, and the fifth largest in terms of flow. From its source, 14,500 feet above sea level, the Nisqually flows southwesterly for about five miles while dropping almost 2,000 feet in elevation. The river then flows westerly for five miles, falling at a rate of 100 feet per mile. At this point, near the Nisqually Park Ranger Station, the river flows northwesterly for 26 miles falling at a rate of 40 feet per mile, until it reaches the Alder Dam (the first two Tacoma facilities) which is located at approximately river mile 44.2. Downstream at river mile 42.5 is the second Tacoma project facility, the La Grande diversion dam. The river here is diverted downstream about 1.7 miles to the La Grande powerhouse, where the diverted water reenters the river channel. Downstream of the La Grande Dam at mile 40.8, the Nisqually River flows almost 41 miles before reaching Puget Sound. In this last leg, the river has an average drop of about 12 feet per mile. It is in this reach that Centralia’s diversion dam is located at rivermile 26.2. The dam, a log crib structure, is approximately 8.5 feet high and 206 feet long at its crest. A concrete intake structure, located on the dam’s west side, diverts water from the river into Centralia’s 9.2 mile long, unlined earthen canal. This canal ends at the Centralia powerhouse, which is located at about rivermile 12.7. Centralia and Tacoma, pursuant to interim flow orders, ensure the almost 13.5 mile channel between the Centralia dam and powerhouse is provided sufficient water to support the anadromous fishery. The part of the river is called the “diverted” stretch. The United States Army owns a significant amount of land along the diverted stretch. Part of this area comprises Fort Lewis. This land stretches on the south bank from rivermile 19 to rivermile 2.3. This stretch thus commences 6.3 miles above the Yelm powerhouse. On the north bank, federal lands cover rivermile 17.6 to rivermile 14, and rivermile 12.3 to the upper boundary of the Nisqually Indian Reservation at rivermile 11. The reservation extends down the rivermile 5.4. Repeated advances and retreats of great continental glaciers from Canada have sculpted the entire Puget Basin. Reaching a point nearly 20 miles south of Olympia, these periods of glaciation occurred throughout the Ice Age (Pleistocene era, 1.6 million to 10,000 years before present). The glacier that once covered Olympia may have been up to 1,500 feet deep! The last major lobe of continental ice, the Vashon ice sheet, receded from the area that is now the lower Nisqually River Basin about 13,000 years ago. Enormous amounts of glacial debris were left behind, and these filled the Nisqually Valley from about the Mashel Prairie at the foot of the Cascade Mountains to the delta. Glacial erratics, rocks transported from as far north as Canada, can be found throughout the mid and lower Nisqually Valley. For hundreds of years, huge sediment-choked rivers streaming out of the receding Vashon Glacier deposited immense outwash plains in southern Puget Sound. Ice dams broke and catastrophic floods, slurries of mud and sand, raced in torrents over the landscape. These outwash plains are responsible for the prairies that lie adjacent to the Nisqually Valley from its boundary near Kapowsin to the Bald Hills and in the valley below. In a region typified by extensive forests, these prairies are striking. Open, grassy, meadow-like land, dotted with flowers – they are a signature feature of the mid to lower Nisqually Valley. If you were to dig a soil pit in some of these prairies, the profile would be very revealing. Roadcuts show the thin loamy soil that has developed on top of the coarse, cobbly glacial till left behind by a prehistoric earth mover – the Vashon Glacier. While this soil appears black and fertile, it is in reality not rich. Though some cultivation occurs, much of this Nisqually prairie land is today utilized as pasture. 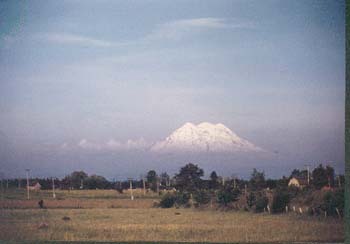 Despite growing urbanization, the Yelm area is still known as Yelm Prairie. The best examples of these prairie lands are today found within the boundaries of the Fort Lewis Military Reservation. Even where gravelly outwash areas are overlain with forest, soils are highly porous. Consequently, groundwater is easily recharged, resulting in a water table that is typically only about forty to fifty feet deep in the prairie areas. The permeability of the subsurface enables groundwater to flow readily in its migration toward the river. In certain cases, this enhances the problem of failing septic systems, whose effluent can quickly reach the river and its tributaries. Where depressions in the bottom lands of the valley are lower than the water table, windows in the aquifer occur. The resulting ponds and marshes are the wetlands which dot the Nisqually Valley. Such swamps and marshes are vital habitat for many plants and animals. Unusual to the watersheds of Puget Sound are the presence of open prairie-like lands which in other Northwest watersheds would be forested. These prairies occur in the gravelly outwash plains of not only the Nisqually, but also the Deschutes and Chehalis Rivers. Early explorers and settlers to the area must have been surprised to break out of thick forests and into the patchwork quilt of the prairie lands. Yelm Prairie pioneer James Longmire, who left Shawnee Prairie, Indiana, to travel the overland trail to Nisqually country in the mid 1800s, naturally gravitated to such familiar country. Here were flat and rolling plains of thick turf dotted with wildflowers such as camas and interspersed with groves of Douglas-fir, Oregon white oak and even ponderosa pine. This inviting appearance soon proved to be deceptive. 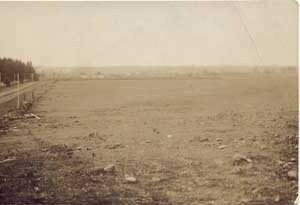 Longmire and others soon discovered that unlike midwestern prairies which had deep and rich soils, Puget Sound “prairies” overlay coarse, gravelly glacial till. These early settlers to southern Puget Sound noted that the Indian people burned the prairies in order to ensure a good crop of camas, a flower in the lily family whose underground bulbs were baked and boiled. These deliberate bums also attracted game at night. In doing so, these stewards of the land destroyed invasive tree seedlings and maintained the open prairie. Mature trees are another striking feature of the Nisqually prairies which dot the lower valley. Interspersed as either individuals or in groves, these trees are unique. Douglas fir, tall and clear of limb for one hundred feet or more in the cramped quarters of the lowland forest are here laden with branches which sweep the prairie grasses. The only oak indigenous to Washington, Oregon white oak, is common in this habitat. Within the long-standing military reserve of Fort Lewis are groves of rare native ponderosa pine. These 250-year old trees are very rare on the west side of the Cascade divide. The oak prairies have always been host to a myriad of animal species. Black bear, bobcat, cougar, raccoon, Douglas squirrel, western gray squirrel and black-tailed deer were all common to Nisqually prairies. When the Hudson’s Bay Company arrived in the Nisqually Basin in the early 1800s, so too did domestic livestock. Unlike deer, sheep and cows concentrate in large numbers, often overgrazing the land. With its protective layer of turf removed, tree seeds could easily take root and the balance between grove and prairie shifted. 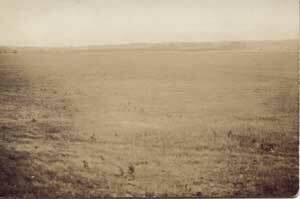 The settlement of the Nisqually valley by pioneers and the subsequent elimination of wildfires and Indian bums further favored the encroachment of trees into the open prairie. With the introduction of exotic grasses and more damagingly, scotch broom, Nisqually prairies are today a fraction of their historical size. The vegetated area bordering the shores of streams, rivers, lakes and ponds is called the riparian zone. While this zone comprises only a small part of the watershed, it is very rich in plant and animal species. It has a profound influence on the aquatic ecosystem and, in turn, is heavily influenced by an abundance of freshwater. This abundance of water favors shrubs and deciduous hardwood trees, though cedar and fir line the banks of the river as well. Cottonwood and maple trees are common. Well-watered, rapidly growing willows and alder are often shrub-like in this lush streamside habitat. Devil’s club, thimbleberry, ferns, rushes and reeds crowd the banks. On smaller creeks and streams the shade these plants provide moderate the water temperature, keeping it cool on hot summer days. (From: The Living River: A Guide to the Nisqually River Basin 1996) Used with permission. five or forty years ago covered the greater part of the prairie land in Pierce County, to whom it belongs. I could conclusively prove that it was not the livestock of the English Puget Sound Agricultural Company which caused the extinction of the indigenous blue bunchgrass upon these plains, for in 1862, the company had hardly any livestock running upon the 160,000 acres of land it claimed to own in Pierce County. About 500 sheep, 100 head of cattle and a few wild horses then belonged to this company, and long after they discontinued the breeding of cattle and sheep to any great extent, the grass upon these plains grew luxuriantly. When this company pastured about 12,000 sheep, 7,000 head of cattle and upwards of 300 horses, the grass, except immediately around the principal establishment. 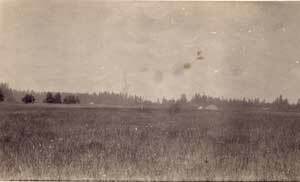 Fort Nisqually, and the seven or eight outlying stations, continued to be very good indeed. The cattle, from being constantly shot at, became so wild and unmanageable as rendered it almost impossible to handle as buffalo, and in 1854-1855 they almost all disappeared from the plains. 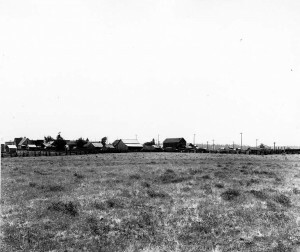 these bands, which were carefully parked every night and the parks or corrals, moved every two or three nights, thus thoroughly manuring several acres of land around each station for arable purposes. The sheep were not allowed to overpasture the land, but were moved to new ground before the grass became injured. This grass was of a very nutritious character. Although it was in bunches, it was not like the grass common to the east side o the mountains, which leaves fully half the ground bare. It covered the ground completely, making a thick sward, which even in the hot Summer months, did not dry up, but was of a deep, bluish green color. In the Winter Season here the cattle and horses had to shift for themselves, and lived principally in the woods, coming out in the early Spring months in a deplorably thin condition. A few weeks’ run upon the green, nutritious prairie grass made them different animals, the cattle fit for beef and the horses fat and sleek looking. In the early 50s there was very little of the prairie land fenced up, and the livestock had the run of the entire plains, thus affording ample room for feeding, without seriously injuring the grass. . . . 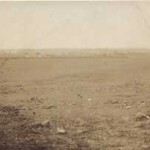 In 1870 the land formerly claimed by the English Company was surveyed, and thrown open to settlement, and the most available parts of it were soon taken up. Large tracts were fenced and no regard was made to the amount or quantity of land comprised within the lawful boundaries of the claims taken. A man fenced up as much land as his means would admit of, or his neighbors would allow him, and I know of instance where a man who could claim lawfully to own only one hundred sixty acres of land had fenced up from one thousand to two thousand acres and held undisputed possession of it until someone came along and interfered with his calculations by perhaps entering a homestead or pre-emption claim, in the midst of his large, squatted upon tract. The common grass had no chance to seed, and that large number of sheep soon killed out the old original bunchgrass, the sheep in fact nibbling it so close that the hot July and August heat, and scorching northwest winds dried up and killed its roots, and a growth of worthless grass and weeds has taken its place. reach of such, because of the porous nature of the sub-soil, which is pure worthless gravel, which would drink up and los< all water put upon it like a sieve. The south Puget Sound is a natural sanctuary for wild life, from the salty coastal waters, up the great rivers, into the rolling lowlands, and finally the richly forested mountain areas. It is no wonder the Nisquallies found such a place to call home, populated with aquatic, terrestrial, and aviary fauna, it’s a historically vibrant land. Before Western civilization branched into the Washington landscape, one of the mainstays in the ecosystem was marine life. For the native tribes, the river swelled with an abundance of food, especially the Salmon. Trout, crayfish, and perch all traveled through the pristine waterways that fed largely into the Nisqually basin. The Nisqually offered it’s own unique life in its lush estuary. Smelt, eels, sole, and skates were found in droves within these waters. Upon the salty shore clams, mussels, and cockles found their homes within the gritty sand. Further out, herrings, cod (rock and red), devilfish, and bullheads congregated. These “food fish” attracted larger marine life, from porpoises and seals, dog fish sharks, and finally to what the Indians called “Black fish”: the giant Orcas that sliced through the jutting waves. The overflow of life in the waters of the south Puget Sound also lured a great variety of foul to the area. Canadian and snow geese, egrets, and ducks all came in massive flocks to the swampy wetlands and are still thriving today. Other majestic birds, such as the Trumpeter Swan, Whooping Crane, and Bald Eagle have struggled–and in some cases, failed–facing the indomitable fringes of an encroaching civilization. Other avifauna populated the lowlands, from fierce predatorial hawks to wild quail and pheasant. For these, the only threats were the raccoons, coyotes, and the occasional mountain lion that came down from higher altitudes. Great herds of elk grazed along these prairies and upwards into the wooded slopes, while groups of deer played amongst the undergrowth. It was here on the edges of the lowlands that the dense, sprawling forests of evergreen trees overtook the gentle landscape. Yet, the great pines and firs were the perfect habitat for hundreds of insects and small animals. Douglas squirrels and Deer mice scurried about as the woodchuck searched for insects. Meanwhile, Black bears and Cougars stalked their prey in these deep, secluded forests, and Mountain beavers built homes in the chilly, refreshing rivers that emerged from glacier run-offs. For those who first lived here, each of these areas was special and represented a crucial, important part of daily life. The Nisquallies needed all of these sources to survive through the different seasons. Fur traders and early white settlers also built their lives almost entirely around the local fauna, allowing for the development of later towns and communities to arise. Unfortunately, dams, logging, and indiscriminate hunting well into the twentieth century have forced a reduction of the wildlife to only a fraction of what it once was. It is imperative that South Puget Sound’s natural history and animals will be preserved for generations to come, and this special part of our history will always speak of the wonders that attracted people here since the beginning of time. Introduction: The town of Yelm annually celebrates “Prairie Days.” “Pride of the Prairie” is a term used to boost the fortunes of many an activity in the community. 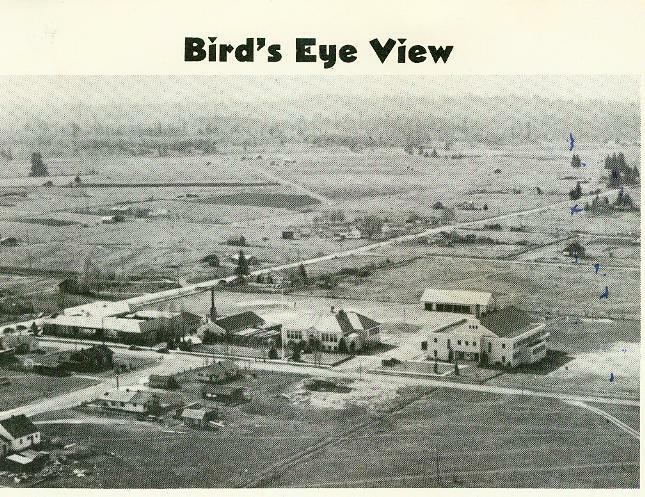 The school system contains “Prairie Elementary.” As late as the 1870 census the area was referred to as “Yelm Prairie”. 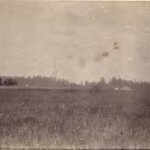 This section will examine the reasons for and the nature of the “prairie” in Yelm. Following this there are a number of eyewitness reactions to the prairies around Yelm. Yelm Prairie pioneer James Longmire, who left Shawnee Prairie, Indiana, to travel the overland trail to Nisqually country in the mid 1800s, naturally gravitated to such familiar country. Here were flat and rolling plains of thick turf dotted with wildflowers such as camas and interspersed with groves of Douglas-fir, Oregon white oak and even ponderosa pine. This inviting appearance soon proved to be deceptive. 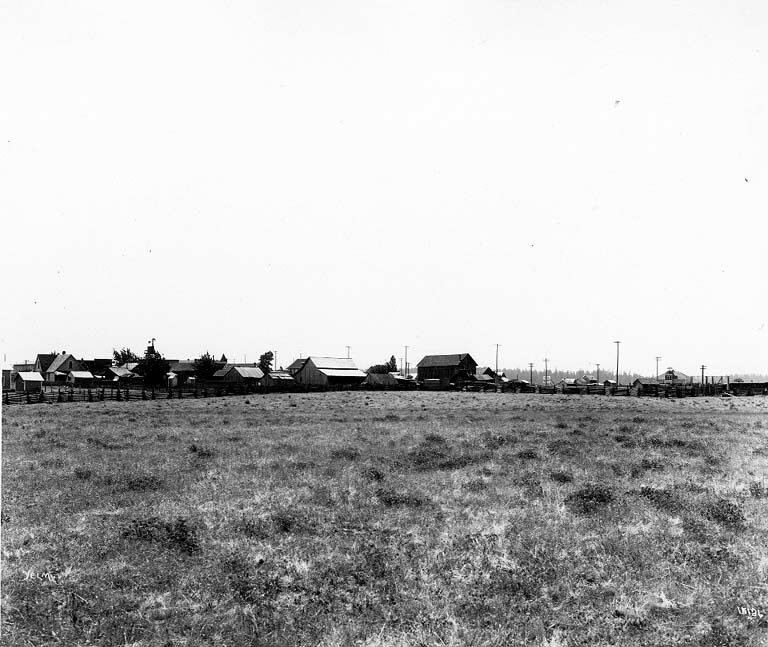 Longmire and others soon discovered that unlike mid-western prairies which had deep and rich soils, Puget Sound “prairies” overlay coarse, gravelly glacial till. These early settlers to southern Puget Sound noted that the Indian people burned the prairies in order to ensure a good crop of camas, a flower in the lily family whose underground bulbs were baked and boiled. These deliberate burns also attracted game at night. In doing so, these stewards of the land destroyed invasive tree seedlings and maintained the open prairie. Mature trees are another striking feature of the Nisqually prairies which dot the lower valley. Interspersed as either individuals or in groves, these trees are unique. Douglas-fir, tall and dear of limb for one hundred feet or more in the cramped quarters of the lowland forest are here laden with branches which sweep the prairie grasses. The only oak indigenous to Washington, Oregon white oak, is common in this habitat. Within the longstanding military reserve of Fort Lewis are groves of rare native ponderosa pine. These 250-year old trees are very rare on the west side of the Cascade divide. The oak prairies have always been host to a myriad of animal species. Black bear, bobcat, cougar, raccoon, Douglas squirrel, western gray squirrel and black-tailed deer were all common to Nisqually prairies. When the Hudson’s Bay Company arrived in the Nisqually Basin in the early 1800s, so too did domestic livestock. Unlike deer, sheep and cows concentrate in large numbers, often overgrazing the land. With its protective layer of turf removed, tree seeds could easily take root and the balance between grove and prairie shifted. 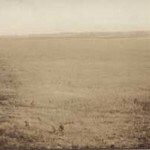 The settlement of the Nisqually Valley by pioneers and the subsequent elimination of wildfires and Indian burns further favored the encroachment of trees into the open prairie. With the introduction of exotic grasses and more damagingly scotch broom, Nisqually prairies are today a fraction of their historical size. Consequently, the western gray squirrel has been declared a threatened species by the Washington Department of Fish and Wildlife. Fortunately, a program of prescribed burning by the Environmental and Natural Resources Division of Fort Lewis maintains a trace heritage of this unique Nisqually habitat in places like Ninety First Division Prairie and Tenalquot Prairie on the military reservation. (From: The Living River: A Guide to the Nisqually River Basin 1996) Used with permission. Introduction: In the 1850s a survey party led by George McClellan arrived in the south Puget Sound region after crossing the Cascade Mountains. Not only was this group looking for good road and railroad routes to open the “wilderness,” but naturalists with the party recorded some the first written descriptions of the Yelm and neighboring prairies. “At short intervals, all along the upper Chehalis, and beyond it to Steilacoom, we passed through similar fine prairies, which-occupy a large portion of this valley between-the Coast and Cascade ranges. “The “Nisqually plains,” about thirty square miles in extent, lie in irregularly oval form between Puget Sound and the Cascade range, with the Nisqually river on the south and the Puyallup north of them. Their surface is smooth and level, rising in successive terraces from ten to forty feet high, and generally parallel to the mountains. At short intervals occur lakes, small but beautifully clear, though usually without visible outlet, the gravelly soil rapidly absorbing the water during the dry season. Few, however, dry up completely, and they become neither muddy nor stagnant, thus indicating, perhaps, a subterranean flow. Around these are beautiful groves of poplar, aspen, ash, maple, and a few pines and oaks. Scattered over the surface are rounded hills, looking like islands in the level plain, and covered with groves of the usual fir, which also sometimes grows on the slopes of the terraces. The whole plain looks like a magnificent park ornamented by the highest skill of the landscape gardener, while to the southeast, and in full view from all parts of it, stands the majestic Mount Rainier forty miles distant, though in appearance not more than five. “A few remarks are necessary upon the origin of the dry prairies so singularly scattered through the forest region. Their most striking feature is the abruptness of the forests which surround them, giving them the appearance of lands which have been cleared and cultivated for hundreds of years. From various facts observed I conclude that they are the remains of much more extensive prairies, which, within a comparatively recent period, occupied all the lower and drier parts of the valleys, and which the forests have been gradually spreading over in their downward progress from the mountains. The Indians, in order to preserve their open grounds for game, and for the production of their important root, the camas, soon found the advantage of burning, and when they began this it was only those trees already large that could withstand the fires. Occasionally gigantic fir trees, isolated or in groups, show, by their immense size, that these prairies have not been produced nor always exposed to fires, for they must have attained a considerable age before they could have resisted fire. “The introduction of the horse, about the beginning of this century, was a further inducement for burning, and doubtless also caused an increased settlement in the prairies by these people, hitherto accustomed to travel mostly by water, and to depend upon fishing for their subsistence. On some prairies near Vancouver and Nisqually, where this burning has been prevented for twenty years past, young spruces are found to be growing up rapidly, and Indians have told me that they can remember when some other prairies were much larger than at present. That they never were covered with forest is shown by the perfect smoothness of their surface; while in places very completely cleared of forests By fires are always found mounds and hollows, left by stumps, and an immediate growth of shrubs and trees follows, showing a tendency to return to forest, instead of to form prairies. Great changes must have occurred in the conformation and climate of this part of the coast since forests began to cover a surface once probably as bare as that of the Central Plains. “I knew must be the Yilmn, on the south side of the Squally River. This prairie was covered by a luxuriant growth of that magnificent indigenous bunchgrass which was called blue bunchgrass and which at that time covered all the gravelly prairies of Pierce, Thurston and Chehalis Counties. “It was something like the grass to be found east of the mountains, but covered the ground thoroughly and did not grow in spots as it does east of the range. The undergrowth was thick, and kept comparatively green all summer, and when it seeded it was about two feet in height. Huggins writes: “I think many of the old residents of this county will bear me out in this assertion. I recollect that as late as 1860 the grass in the Elk Plain, Walla Walla plain (Montgomery), South Muck, Puyallup, Sastuc, Tlithlow, Red Pines, (F. Goodwin), and Squally plains were covered with a thick sward of the native blue bunch-grass which entirely covered the ground, and in the fall of 1855-56 and ’57 when the Indian war was pending I have seen the grass on almost all of these plains, having ripened its seed, waving in the breeze like a field of grain. “I think this same species, of a more nutritious character than the bunch grass common to the prairies east of the mountains which I saw on journeys there I noticed that the grass late in summer dried up, but with us the undergrowth remained comparatively green. The character of our grasses was well established as a grass of nutritious quality as in the early days, we had no means of caring for but a small number of live stock during the winter months, and our poor animals would come out of the timber in the spring, looking exceedingly thin and woe-begone, but after a few weeks’ feeding on the blue bunch grass would gain flesh, the horses able to perform extraordinary work and the horned cattle make beef of a very fair quality. “The horses especially, as many of the early settlers in Pierce and Thurston counties can bear me out in, soon recovered from the enervating effects of winter pasturage, and became full of life, and able to endure a day’s ride of many miles in extent. 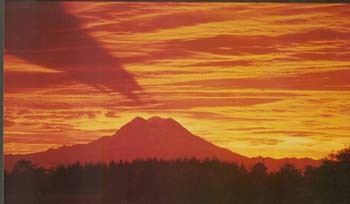 I have often, in the fifties taken a horse from the band of seventy-five or one hundred head, started from the Fort at sunrise and made the company’s post on the Cowlitz prairie before sunset, on the same day, a distance of seventy miles, and at the journey’s end the horse appeared to be not so tired as its rider. “From the road, as we came into town, we had seen fields bordered by rock-piles-not stacked neatly to make fences, the way Dad had told about there being in Maine, but just dumped, hit or miss, into heaps. Some of the fields had been planted to berries-We could see the rows of dead canes sticking up-but now they were over- grown with grass. “I figured by then that it was high time for me to start working on the yard. My first plan was to get a garden space ready to plant. You wouldn’t believe the rocks that Milt Johnson turned up when he came over to plow the place for me. You could hardly see the ground for them. I borrowed Archie Ferguson’s pickup and for the next two or three weeks, Saturdays and Sundays and evenings after school, I loaded and hauled rocks. Some of them were too big for me to handle alone, and Frank Bower came over to give me a hand. “By the time we got through picking up those rocks, I’ll swear that that garden space was close to a foot lower than the rest of the land around. The only thing we could think to do about it was to have dirt hauled in, and we surely didn’t want any more Yelm dirt. Good topsoil, we wanted, and we went all the way to Puyallup, about twenty-five miles away, before we could find any for sale.